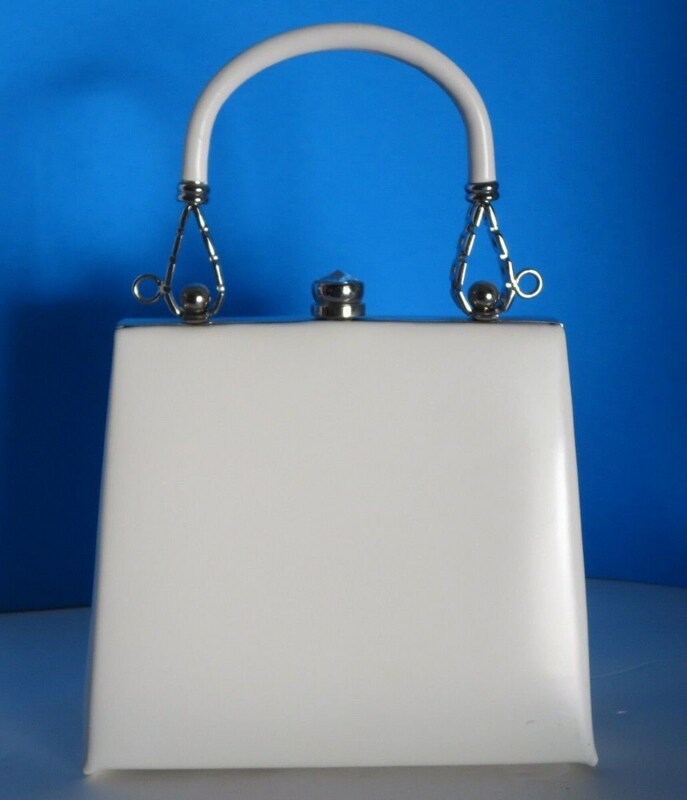 Adorable white vinyl handbag in a Kelly Bag style. Silver tone metal A-frame look with a big rhinestone snap closure. 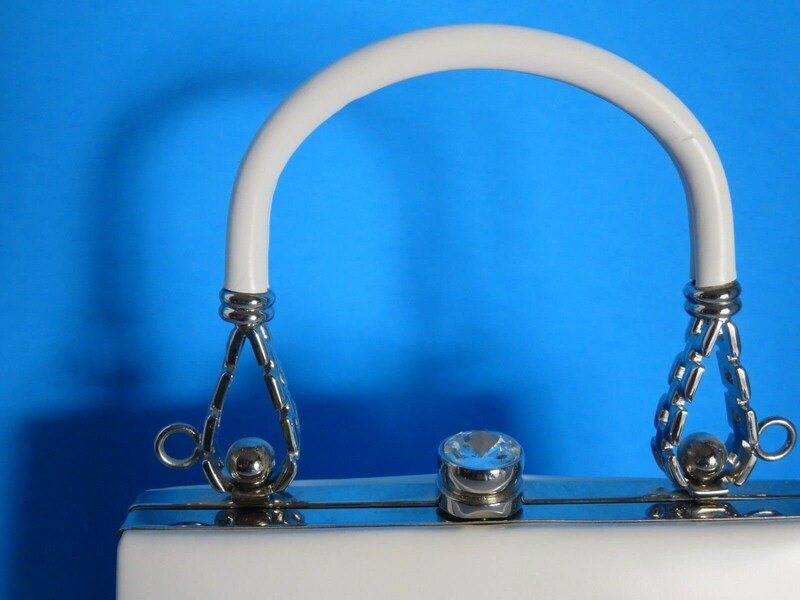 Fancy silver tone metal attachments with vinyl wrapped metal handle with 3 inch drop. 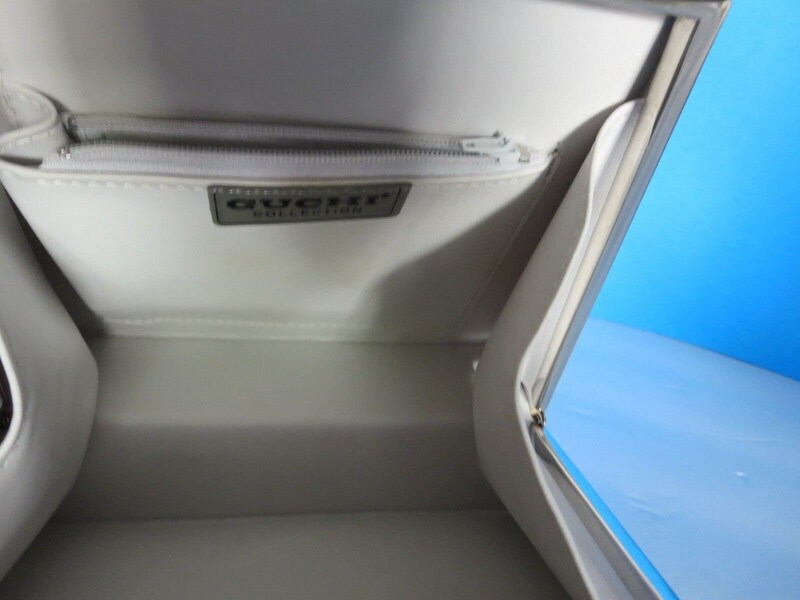 White vinyl interior with a side zippered pocket. 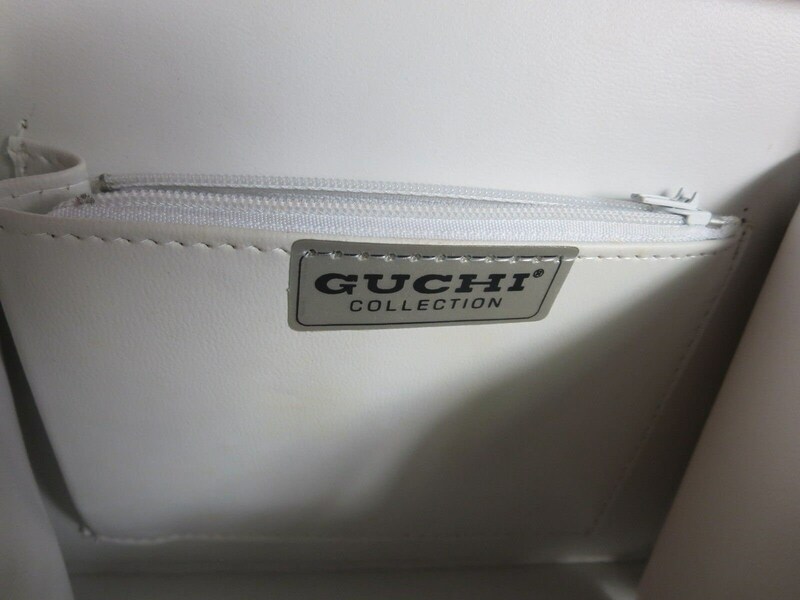 "Guchi Collection" label on the inside. 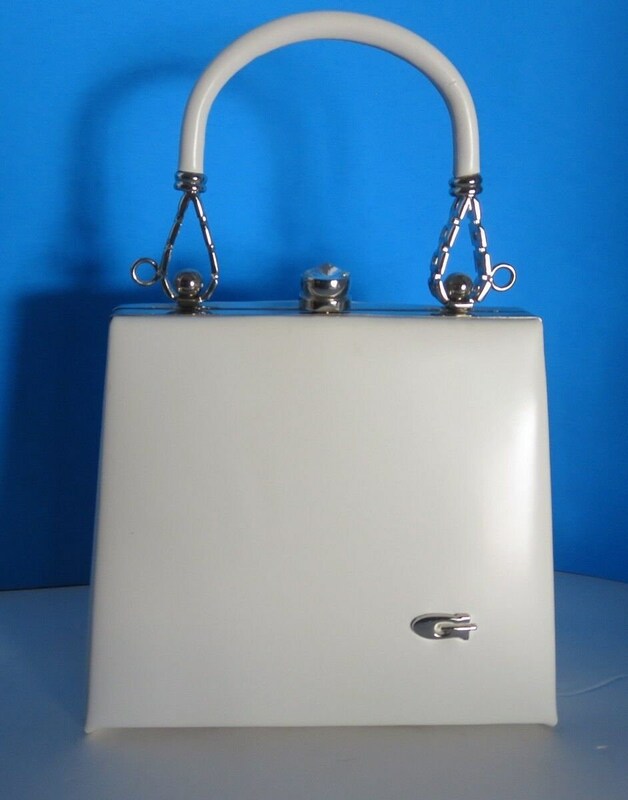 Silver tone metal "G" on the outside of the bag. Like-new condition. Dimensions: 6 inches long on the bottom x 6 inches tall x 3 inches wide.